Then come along to our Charity Art Sale and add to your collection. We have some fantastic watercolour paintings for sale. Kindly donated by our very own Friday Art Club members. Tickets are FREE and are available on a first come first served basis from the Community Centre and local shops who are advertising the event. This project has come to an end. activities on offer at the Community Centre and Southsea Green. All abilities welcome. whether you are new to Yoga or an experienced practictioner, this relaxing class will help develop your strength, flexibility and balance, and calm your mind. First day of classes are Free! 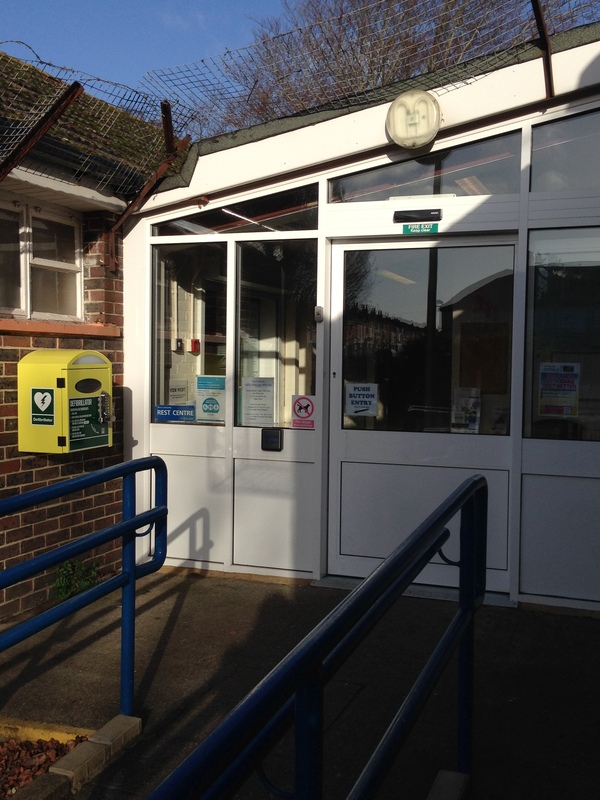 Portsmouth City Council has installed a Defibrillator at Eastney Community Centre. The Defibrillator is situated on the outside of the building by the Main Entrance. with the New Portsmouth Lottery! We are pleased to announce that Eastney Community Centre is one of the charities that could benefit from the new Portsmouth Lottery with your support! Purchase your tickets from Eastney Community Centre’s lottery page and for every £1 ticket you purchase 50p will go to the Community Centre. Fill in a membership application form in the centre.